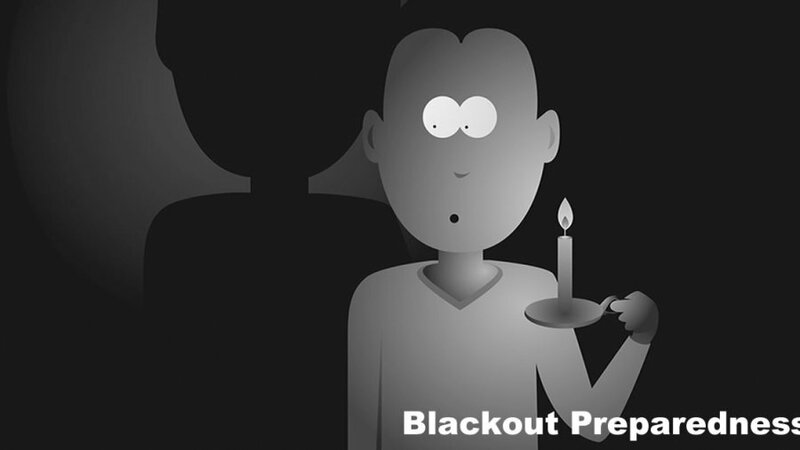 Have You Reviewed Your Blackout Preps Lately? I have recently been beefing up my blackout preparedness because over the past couple weeks, we here in the Ozarks have braced twice for possibly severe winter weather. The Weather Channel has even begun naming winter storms, for dramatic effect it seems. Anyway, many of us in the potentially affected area got ourselves ready to hunker down and possibly go without power for a few days. So, what better time to work on my blackout preparedness. I was actually looking forward to it though. I lived in South Florida for long enough that snow is still a big novelty for me and I am a sucker for building a snowman. I was also looking forward to seeing how things would go without power in the arctic chill. However, problems cropped up immediately. For starters, I realized that most of my blackout preparedness has been focused on long term survival situations. I have assembled a “tool box” and a skill set that will allow me to weather a Grid Down situation resulting from a solar storm or EMP attack. I can also to get through a financial collapse and hunker down in a period of social disorder. However, for a little ice storm, I found myself in line at Walmart with all the non-preppers grabbing those few essentials at the last minute. What I found myself short of was batteries and water in my blackout preparedness. I have contingency plans for water and lighting in the long term, but they are not things that are practical to bring out for a day or two without power. I had been so focused on digging in for the long term that I had failed to notice that the kids’ electronic gadgets had depleted my battery supply, or that the batteries in all my lanterns and flashlights had gone bad while waiting to be used. This was rather embarrassing for a dedicated prepper and survival writer! So, off to the store for batteries and bottled water, with the first flakes falling. This was an important reminder to me. Long term and short term preps don’t always overlap, and what is good for the long haul may be inconvenient or impractical for the normal little glitches in life. If you are facing a power outage of a few days, simple things will suffice for your blackout preparedness Have your batteries stocked for radios, flashlights, and lanterns. Have a water supply laid in if you are on a well or otherwise dependent on electricity for your water. Have a gas grill and a camp stove for cooking, and enough canned goods or food storage to see you through to the restoration of power. Don’t forget to add a well stocked first aid kit. 72 hrs. is easy, but only if you are ready! For a longer, or even indefinite power outage, more extreme blackout preparedness may be required, but the basic needs that must be met are the same. You will need to make provisions for a water supply. You will need to cook food. You will want a source of light. You will need to heat your home in winter, and possibly a way to cool yourself in summer. These simple needs may represent more logistics than you think, because we have all grown so accustomed to relying on the grid to fill these needs for us. Water is one of the most fundamental needs. In a long term power outage, unless you are completely supplied by a secure gravity fed water source, tap water will become a thing of the past. If you are on a well, it is an excellent idea to have a backup hand pump as an aid to blackout preparedness. Hand pumps are available even for deep wells, and models are available which can be easily installed when the need arises. If you are able to spend a bit (quite a bit!) more, a 12 volt pump with a solar panel coupled with a large storage tank is an excellent idea (on my wish/to do lists). With the large tank you eliminate the need for batteries and charge controllers by doing all your pumping during the day. A large enough tank will get you through the cloudy days as well. Rain barrels are your friend, so get as many as you can. A good water filter is a must for barrel water, puddle water, or any questionable water. There are a number of excellent large size filter units available in the market place, such as the Aquapail series and Katadyn ceramic filter models. Hot water is another matter. I recommend having a couple of solar showers, a very large stock pot to heat water over a fire or propane stove, and an old fashioned cowboy style percolator. There are also a number of portable propane “camp” water heaters available, they are a great backup system but require the stocking of propane. Solar water heaters are also a fine idea. For cooking, a good old fashioned charcoal grill is a must, you can run it on wood when the charcoal runs out. A back yard fire ring, with a tripod for hanging pots and kettles is another fine idea. An outdoor wood fired oven is a good investment in emergency preparedness and a great way to have traditional breads in the meantime. You can also use a solar oven, such as the All American Sun Oven to cook meals using only the power of the sun. A good camp stove and lots of propane is great but if the situation persists for too long, you will need a fallback when the propane is gone. If you are going to rely on propane, have the biggest storage tank possible. This applies to hot water, lighting and generators as well, if you are going to use propane from a very large tank, do as much with it as you can! Lighting can be a tough one. Battery powered lanterns are the best, particularly since the advent of LED lanterns. I would recommend a good supply of rechargeable batteries and several solar battery chargers (Don’t find yourself at Walmart behind me the day before a storm!). Candles, propane lanterns, and oil lamps are other options for blackout preparedness, but be ever mindful of the threat of fire, especially if you have kids in the house. Also remember to stock up on lamp oil, kerosene, and extra wicks to keep your lanterns going. For home heating, there is no substitute for wood. A good wood stove will heat a large space. There are even models that have an integrated water heater, cook top, and even an oven (like those made by Vermont Stove).This is another wish list item for me, to upgrade and augment the wood heat already in the home. A good supply of firewood is a must, and having a couple years’ worth cut and stacked isn’t a bad idea. One note here is to not let the EPA brow beat you into a stove that doesn’t work right without electricity! Entertainment will be a big issue, especially for kids raised in the electronic age. A good stock of board games, cards, novels, and an ability to tell a good story are all valuable survival gear and skills. Rope and an illustrated knot tying guide will keep kids busy and teach them a new skill in the process. Hobbies, arts and crafts, and musical instruments are all good things to develop in yourself and your kids, and will help to keep conditions tolerable in the worst of times. We don’t just aim to survive, we want to live. A long term grid down situation is about the most frightening scenario I can imagine. Not just from a standpoint of preparing your own home and family, but from a societal collapse stand point as well. When the lights go out, the “Zombies” will come out! p style=”text-align: left;”>If the grid has been down for more than three or four days, make sure that you don’t draw attention to your preps. Good blackout curtains are a must, and be aware that cooking smells travel long distances to hungry noses. With a bit of planning, you can avoid becoming one of the statistics in a grid down scenario (Up to 80% mortality, nationwide, in a year without power).